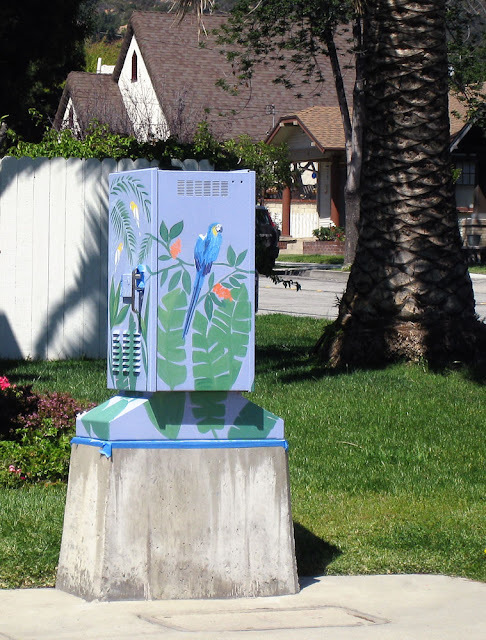 Another utility box turned public art at the corner of Foothill Blvd and Shamrock Ave is in process of being painted. 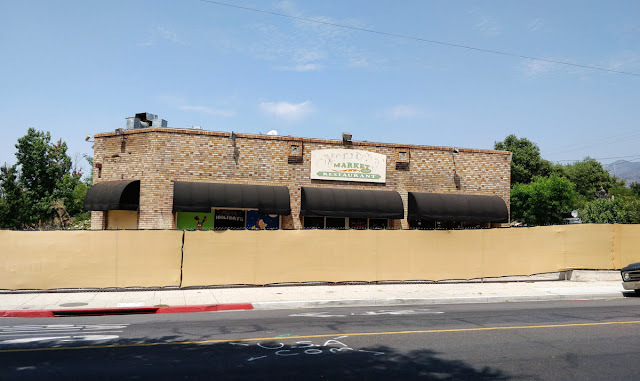 Not quite finished yet but keeping an eye on it. This situation is a little bit different from the others. If you look at the 3rd photo below from April 2012, this location already had a utility box as public art. 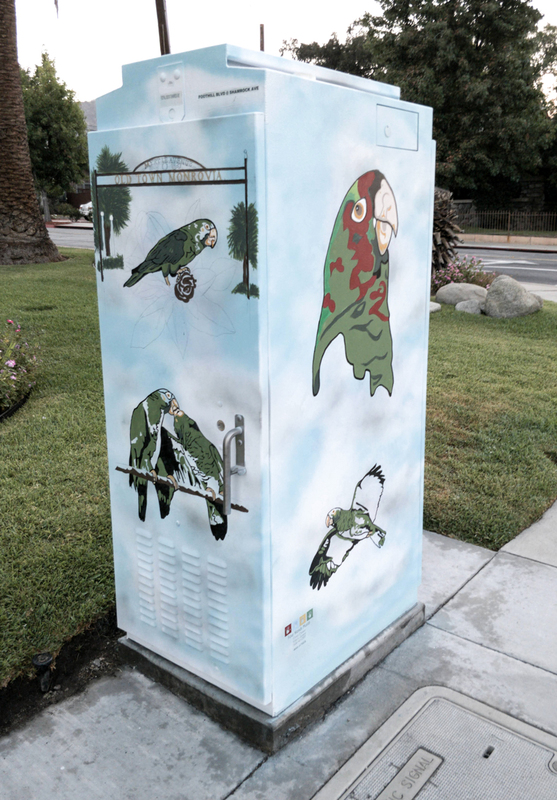 The utility box looks like it has been replaced, creating the need for new art. The theme is similar, but the images will be new. 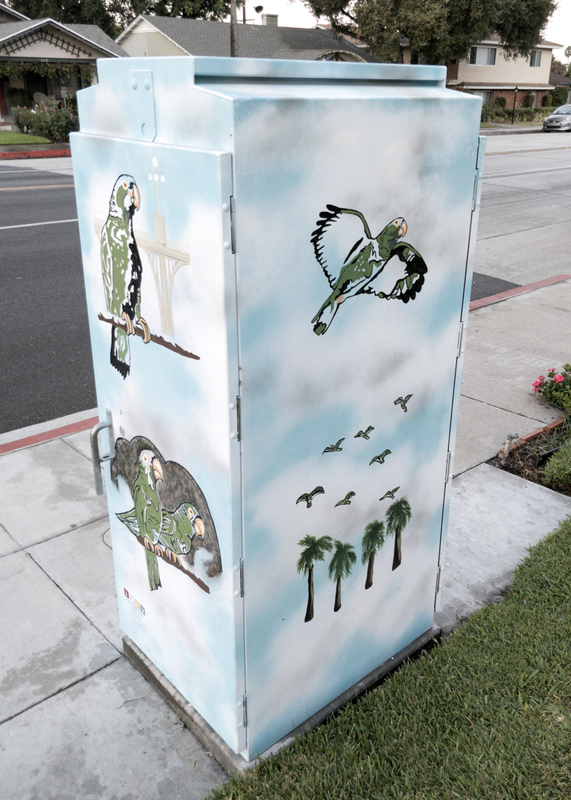 The previous design on the old utility box. 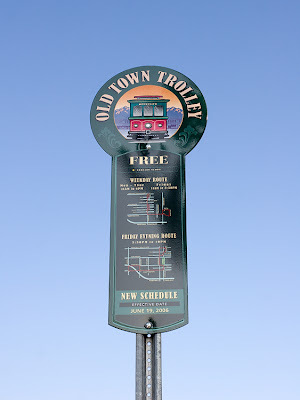 Photo was taken in April 2012.